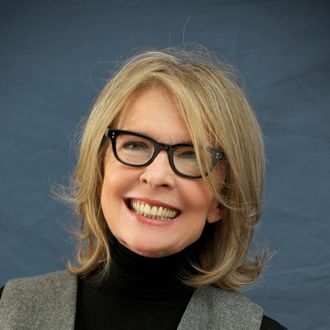 If you follow Diane Keaton on Twitter, you know she’s been very actively collecting things for her various Pinterest boards. It’s her thing. Last week, she was looking for images to add to her “A Kiss Is Still a Kiss” board: “I need more of those action-packed kisses, will you send me some of your favorite pictures?” she asked. Taking advantage of this flutter of Twitter activity, Broad City’s Abbi Jacobson asked Keaton if she’d appear on the show — with action kisses.
.@abbijacobson @broadcity I'm honored! ...who would I be kissing? If you can deliver Ryan Gosling, I'm in! I'm going to check out your show!